Read more on this topic in DepEd's Spiral Curriculum II. Note: DepEd's current approach to reforming the basic educational system in the Philippines is an example of a spiral approach. 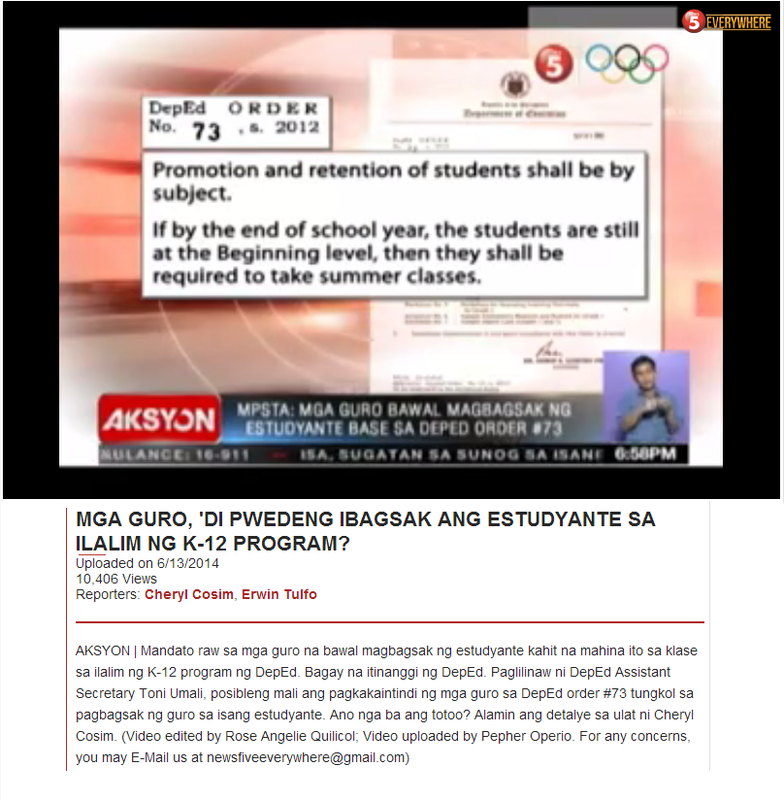 DepEd tries to cover too many things at one time, without focus and prioritization. DepEd does not see the importance of "First Things First", the importance of prerequisites, the essence of mastery. In a layered reform, as opposed to spiral, the roots of the problems are first addressed: shortages, before boldly taking ambitious programs that are not going to be supported properly. In this spiral approach, DepEd is more likely to take a vicious circle or a downward spiral. "If we do not think spirally, why do we have to learn or teach spirally? And this is what makes it so difficult. There are many right words in the quote and the right intentions. But, as long as the fundamentals are wrong, the pedagogy behind the spiral approach is not viable. Concepts - classes - are not organized in a single hierarchy. Rather there is a web of related classes in which a variety of hierarchies can be distinguished. Recognizing individual hierarchies is as important as discerning relationships between the classes. But spirals?" "American schools follow a "spiral curriculum" in mathematics; that is, they spend such a substantial proportion of time on review each year that only limited progress can be made with new material…. American students who perform poorly in arithmetic are subject to a special form of the spiral curriculum, which might be termed the circular curriculum": they repeat arithmetic over and over until they stop studying math" (Gamoran, 2001, p. 138)"
Gamoran, A. (2001). Beyond curriculum wars: Content and understanding in mathematics. In T. Loveless, Ed., The Great Curriculum Debate, pp. 134-162. Washington, D.C.: Brookings Institution Press. "Reading and math are the two crucial elementary school subjects required for high school and life beyond, but British Columbia's elementary math curriculum is crippling learning, especially among disadvantaged students. B.C. has used what is called a "spiral" curriculum since 1987, following a tradition of emulating U.S. educational practice. A spiral curriculum runs a smorgasbord of math topics by students each year, the idea being that they pick up a little more of each with every pass. In reality, the spin leaves many students and teachers in the dust. Ideally, the curriculum should cover fewer topics per year in more depth. Presently, teachers face having Grade 4 classes who still cannot add 567 + 942 nor multiply 7 x 8 because the Grade 1, 2, and 3 teachers were forced to spend so much time on graphing, polygons and circles, estimating quantity and size, geometrical transformations, 2D and 3D geometry and other material not required to make the next step, which is 732 x 34. And because elementary math fails to provide a solid foundation, many basically capable students simply give up when faced with the shock of high school algebra, which would be the doorway to advanced technical training at all levels. High school math teachers cannot make up Grades 1 to 7 while teaching Grade 8." "This persistence of old topics and lack of instructional focus on topics that are newly introduced at each grade may help explain the drop in U.S. student achievement levels between grades 4 and 8. The persistence of elementary content in middle school suggests that the lauded "spiral curriculum" in the United States is in fact a vicious circle." The DepEd has been using the terms "spiral curriculum" and "learner-centered" without providing details to the public what these really entail and require. 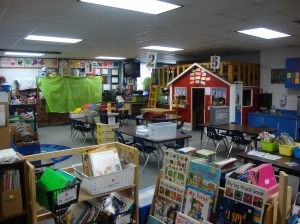 A kindergarten classroom in the United States that is "learner-centered" is quite different from classrooms we went through when we were elementary school pupils. A classroom that is individualized and takes into account where each student is can no longer be just one room with desks arranged in rows. Instead, the room is divided into various stations, each one designed for a specific activity: a drawing section, a listening section with headphones, a reading section, a math corner, a discovery module, and a silent space where students could rest. In these "learner-centered" classrooms. It should be obvious that the size of the class (in terms of number of students) is limited, since these "independent" sections inside a room will require supervision or guidance. In a kindergarten classroom, the highest ratio for this to be feasible is about 12 pupils to one teacher. With 12 children, four could be working on one activity, which means each teacher could be supervising three different activities simultaneously. Having more than three requires too much multitasking on the part of the teacher. The "spiral curriculum" requires that progress is indeed achieved in each year. Otherwise, it becomes circular. Combined with "learner-centered", the "spiral curriculum" can indeed become circular with the students learning the same thing over and over each year. This happens when an individual student fails to grasp or master the material in the first pass. As a result, in the next year, the teacher will have to cover the same material. Remedial intervention does not occur easily when topics are presented to students in a mixed fashion. The spiral nature pushes the students into various topics without giving enough time to master each one. In elementary schools, this is not yet a serious issue since the material to be learned is usually appropriate for the age of the children. Math and science are very general in nature at this stage. However, there are still skills that need to be mastered, which could only be accomplished by drills and a given amount of emphasis that a spiral curriculum sometimes does not provide. Adding, subtracting, multiplying and dividing are essential, and these constitute one of the foundations of mathematics education. Only a layered curriculum, one which recognizes that there are discreet steps in learning, allows for mastery of the skills and concepts necessary to advance to the next level. In high school, the "spiral curriculum" not only requires good teachers who could handle multiple disciplines, but also a different type of textbook. Students cannot have four textbooks each year for example, for the sciences to cover all four areas of the spiral curriculum: biology, chemistry, physics and earth sciences. Using four separate textbooks will not define how each of these areas will be covered in each year of high school. In fact, one of the materials in school that operationally defines what will be covered is the textbook. Thus, without a textbook, the content of these science courses will be unclear. The public is not made aware of the details. Instead, the DepEd simply throws these terms in a rhetorical fashion, promising that these are the solutions to the country's present problems in math and science education. Unfortunately, these are not the solutions. These are additional problems. “Science education research clearly shows that a true understanding of science, as demonstrated by how it is practiced, is not merely about learning information. Rather, it is about developing a way of thinking about a discipline that reflects a particular perception of how ‘knowledge’ is established, its extent and limitations, how it describes nature, and how it can be usefully applied in a variety of contexts. Developing such a way of thinking is a profoundly different experience from learning a set of facts, and requires very different teaching skills.” -- Carl Wieman, a Nobel laureate in physics and director of the Carl Wieman Science Education Initiative at the University of British Columbia. Only those who have done properly published studies have the needed expertise to interpret research information correctly. 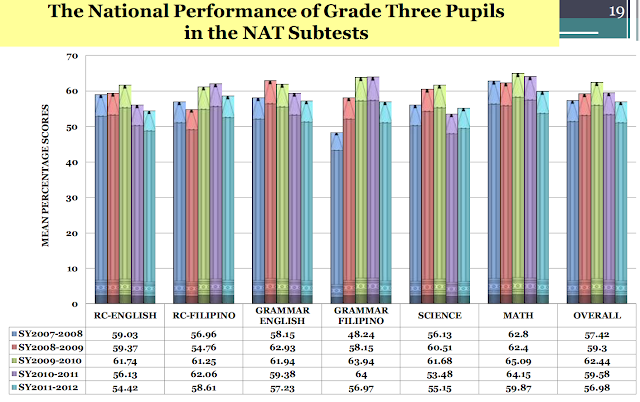 This is the basic defect of the Philippine K-12 education program, which was prepared by nonscientist academics. I heard that there were individuals sent by the Philippines to other countries to observe their respective basic education system. Apparently, the measures to be taken by the K-12 curriculum reform took their observations into account. I guess the first part, making observations, was done, but as most nonscientists are unaware - submitting to peer review is an important step in science to follow. I agree with you Dr. Angel and Dr. Flo. The technical panels in Science and Math should consider the inputs from experts, scientists and engineers, many who may even do it as "labor of Love" for the sake of coming up with truly world-class and real-world science and math education. Hello, Ramil. Thank you for visiting the blog and I hope more people at CHED, DEPED and TESDA will visit and listen to the views expressed in this blog. The views here are in no way perfect, but I strongly believe that these are worth their time and attention. I would like to add to this review of the spiral curriculum facts. As not only an educator but as a parent. Both my daughters have gone through a spiral curriculum that was started in the first grade with the older one. She is now in 6th grade. I taught both of the them to read (one at two years of age and the other at four years of age) Both have scored exceptionally off the charts in Reading, Comprehension, and Writing. I was not the one to teach them Math. I allowed the school to do this. The oldest who was reading at two years old is now in 6th Grade and has what I would call, "Fuzzy Math". There is no solid foundation in her Math skills. I have had to get her assessed and started a Math tutor to get her caught up. My younger one who read at four and was good with numbers is now showing the same signs of "Fuzzy Math" as her sister did. She is in the fourth grade. I did not realize that they where being taught with a spiral curriculum. My husband and I asked three years in a row for a book that we could have for referrence. To be able to see what she was working on and how she was doing the problems. They was always an excuse and never a book. We let it go till this year because I saw too many gaps and holes in my children's foundation of Math. I also found out that it was not just my children that is was half the school that was also having problems. Other mothers that I talked to were saying the same things about there children and getting tutors as well. I do not support this curriculum at all and find it to be the worst form of teaching children Math that I have ever experienced. I do hope it is banned.